Meet our NORDP Conference Attendees! Like many research development professionals, I never planned for such a career. Rather, I stumbled into the field when I discovered that picking a career didn’t require me to choose between my equal affection for English and organismal biology. Working as a proposal development coordinator at the University of Nebraska-Lincoln (UNL) has allowed me to leverage my dual background in the humanities and sciences – each day I edit, write, and read about some form of scientific research. 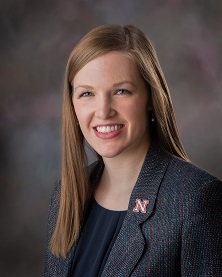 My position aligns well with NORDP’s mission, as my work primarily involves partnering with faculty and extramural partners to facilitate the development of external grant proposals, with the goal of enhancing the quality and competitiveness of proposals submitted by UNL grant applicants. I joined NORDP within a year of entering the field and attended my first conference in 2013 in Austin, Texas. Because acquiring research funding is extremely competitive, I was impressed by members’ warm collegiality and willingness to share their knowledge. As one of the newer members in the profession, I have benefited greatly from other members’ shared experiences. At the 2015 conference in Bethesda, Maryland, I will be leading a roundtable discussion focused on considering the value of internal and external expert review of grant proposals. I consider myself somewhat of a knowledge-gatherer and enjoy learning from others, so I look forward to meeting other attendees and hearing about their best practices for evaluating proposal development services and coordinating proposal development for large-scale teams. To maximize your time at the conference, I recommend availing yourself of as many networking opportunities as possible. Start a conversation with the person next to you, join a group for the networking dinner, and attend a working group/committee meeting to learn more about getting involved with NORDP. See you in Bethesda! Previous Previous post: Conference Cameos Coming Soon!